Product information "Vision Shock and Vibration Sensor"
This Z-Wave vibration sensor informs about vibrations and shock and can be used for detecting shock caused by a burglar when he smashes a window or breaks a door. It case of detected shock, the device’s LED starts blinking and it sends an alarm signal to the control center. The sensor has a manual calibration and adjustment element to adapt the sensitivity to the different applications. A tamper switch protects the device from removal or manipulation if used in security applications. 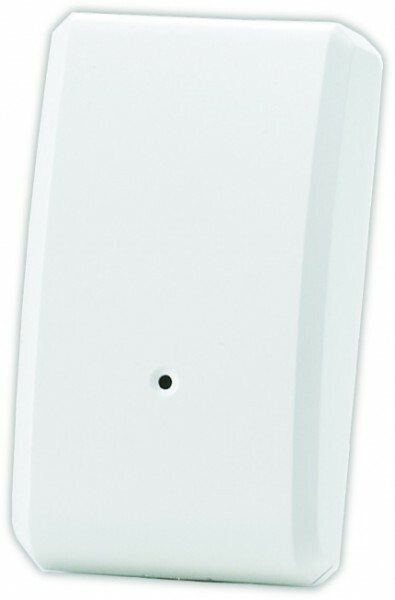 The Z-Wave vibration sensor is a battery-operated device. It can be installed with screws or double-sided adhesive tape. Related links to "Vision Shock and Vibration Sensor"